Eligibility criteria for phase I clinical trials: tight vs loose? The purpose of the current study is to analyze a series of phase I cancer clinical trials, examine and compare trial protocols based on patients’ eligibility criteria. We evaluated all dose escalation phase I trial protocols with accessible or published results performed at Institute for Drug Development, Cancer Therapy and Research Center (San Antonio) between 1991 and 2016. Study protocols were categorized as non-restrictive (NRP) or restrictive (RP) based on several eligibility parameters. Fisher’s Exact and Chi-square tests were used to compare characteristics of NRP and RP. 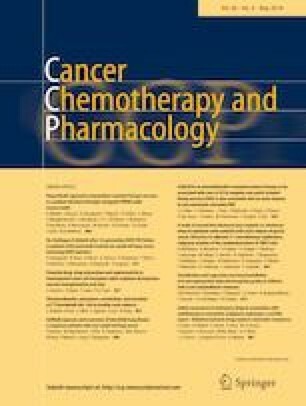 Of 284 protocols screened, 231 dose escalation phase I trial protocols (with accessible results) of solid tumors were included in this review. There were 145 NRP (involving 3190 patients) and 86 RP (involving 1892 patients). The median number of exclusion criteria for NRP and RP were 14 and 23, respectively. The most common reasons that made trial protocol to be restrictive were ECOG ≤ 1, strict requirements for renal or hepatic function (≤ 2.5 times upper limit of normal) and exclusion of subjects with brain metastases. The median accrual time for NRP was significantly shorter as compared to RP (17 vs 26 months). The median number of dose levels explored in NRP and RP were 9 and 6, respectively. RP had a higher screen failure as well as premature closure rate. The rates of DLTs, SAEs, toxicity-related death and response were not different between the two groups. Our study findings are in support of devising well thought and justified phase I study eligibility criteria. The author(s) declare that they have no competing interests. All authors had full control of all primary data, which are available for review upon request. All procedures performed in studies involving human participants were in accordance with the ethical standards of the institutional and with the 1964 Helsinki declaration and its later amendments or comparable ethical standards.